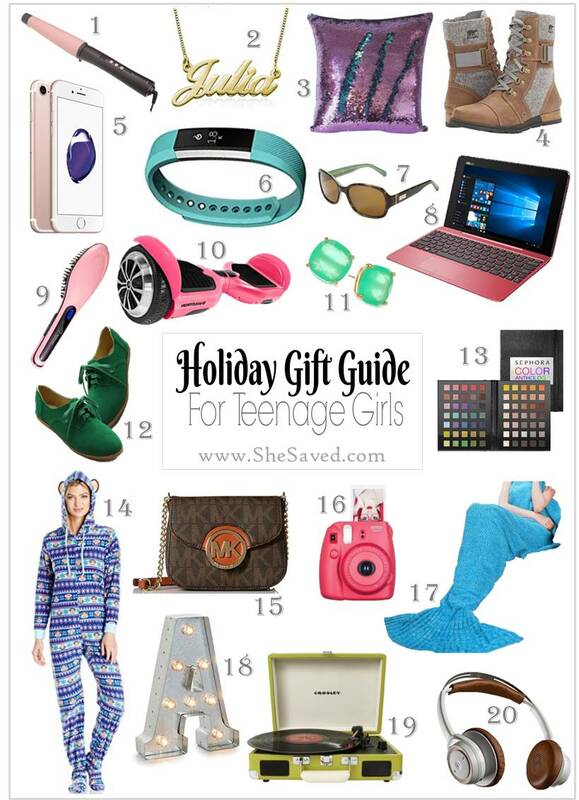 Looking for gifts for teen girls? That can be a hard category to buy for! Finding the right gift for the right person is part of the fun (and stress) during the holidays. I really enjoy the process, and I get super excited when I find unique gifts that I know are a perfect match for the person that I’m buying for. I recently shared my gift guide for the fashionista, and you might look there for gift inspiration for the teen girl as well. It can be a hard age group to buy for but with a little creativity and inspiration, hopefully you can find the perfect gift that you are searching for! I know that I would appreciate any of these gifts, and you can’t beat Amazon for customer service and delivery (you don’t even have to fight the crowds at the mall!) Looking more great gift ideas? Check out my 2017 Holiday Favorite Picks and also make sure to check out my Holiday Gift Picks for Mom as well as my round up of favorite gift ideas for the baker on your list and don’t forget gift ideas for your favorite book lover and my gift guide for the fashionista.